hd00:11NEW YORK CITY, Circa June, 2013 - A summer time lapse of the New York City skyline as seen from Bryant Park. Available in 4K upon request. 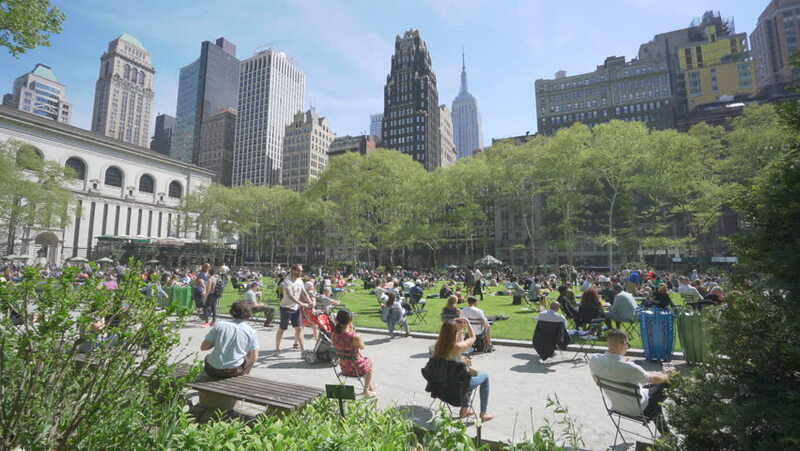 4k00:11NEW YORK CITY, Circa June, 2013 - People enjoy recreational activities at Bryant Park in New York City. 4k00:13Green park in Crows nest residential suburb of Sydney’s lower North Shore in view of residential houses and distant North Sydney CBD. 4k00:16LONDON, ENGLAND - CIRCA 2015 - An establishing shot of the Walkie Talkie and other business buildings in downtown London, England. 4k00:12London - September 2016: Motion blur time lapse of Big Ben with people and traffic moving along Victoria Embankment, London. 4k00:20November 2, 2017. Old architecture of Paris. Champs Elysees.